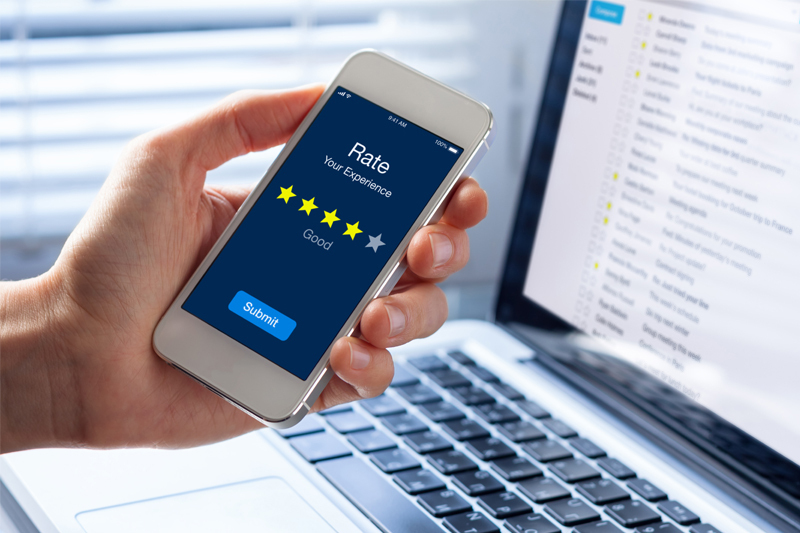 Dee Blick, retained Chartered Marketer at Kalimex, advocates the importance and power of customer reviews. We’re in an era where customers’ voices are influential; they can make or break a business. 20 years ago, customers would express their delight or dismay by telling you to your face, sharing with friends and family; perhaps even emailing you. Today’s customers can extend their reach and influence by taking to social media. In seconds, their post or review can be read by thousands, especially if it’s critical or controversial. They can post their experience on review sites such as Trustpilot. Brands now clamour for customers to review their service with online surveys, text messages, and good old fashioned pen and paper, too. One thing’s for sure: if you’re burying your head in the sand, you’re missing out. When what’s being said about your business isn’t flattering, you can nip it in the bud with helpful, speedy response. 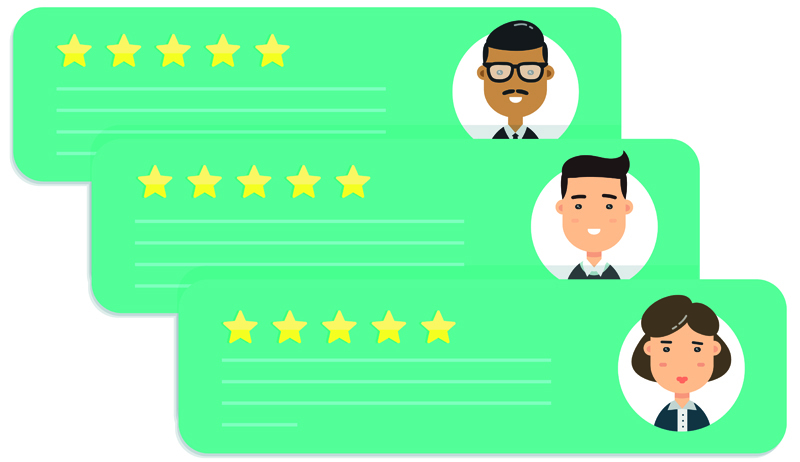 When customers are happy with you, their reviews can be used to add heft to your communications. This means that today you have to be responsive and helpful at every customer interaction. Your great service doesn’t stop at aftercare. You have to show genuine interest in what customers have to say about you. So, which channels should you consider? Social media is the place where people come together to talk about their experiences with businesses and brands. If you’re not on social media, you don’t know what’s being said, so remedy this quickly. Encourage customers to review your service on social media, too. Do a weekly check for any customers that have been talking about you but have not included your social meida addresses in their review. Trustpilot is a review site that’s fast growing in popularity for small and large businesses. Customers can post multiple detailed reviews. Businesses can respond to every review. You have to pay for Trustpilot, so check it out beforehand. I like Survey Monkey because it’s free and the templates are useful. You can reach out to customers who can respond on their tablet, mobile or laptop. You can survey brand new customers, existing customers that use you regularly and, those lapsed customers you’ve not seen for some time. If you’re aiming for many responses, ensure you ask between three and six questions that can be completed with ease. Allow space underneath each question for explanation of the score. What should you ask? For a new customer: did they enjoy their first experience, and if not, why not? If they enjoyed it – why did they, exactly? For an existing customer: how happy are they with your service/product range? What needs improving? Do they want to praise any members of your team? For a lapsed customer, you want to find out why they no longer use you. Have their circumstances changed? Were they dissatisfied with your service? Were they offered a better deal elsewhere? What would win them back? Put the best ones on your vans (Ocado do this well). Provide a link to them in email marketing. Tell true stories of delighted customers in sales letters. Add them to promotional material. Make sure team members read them. Remember to say thank you to every happy customer. Ignore their review. I don’t advise this – silence can be interpreted as guilt or that you don’t care. Post a helpful response. Provide your contact details so the matter can be taken offline. In my opinion, this is the best option. Retaliate. Your customer might be wrong, but arguing doesn’t serve you well. It comes across as bullying, bad judgement or overreacting. Ask for it to be removed if what’s being said is untrue and offensive. It can take time for this to happen so in the meantime, post a considered, calm response explaining why you’ve asked for its removal. Colin Benzie from Kalimex, the company behind the K- Seal product range, explains why it puts its trust in Trustpilot. Trustpilot is an independent review website that customers navigate to themselves. Once there, they can read the negative and positive making it credible. Customer reviews on social media have their place but it was the fact that 87% of consumers consider ads with Trustpilot stars more trustworthy that made Kalimex choose it. Search engines such as Google hold Trustpilot in high regard. Anyone searching for ‘K-Seal Reviews’ will be presented with Trustpilot links. They’re not sponsored adverts. This adds to our credibility too. Trustpilot also gives us the opportunity to reply directly to every review. By promptly addressing any customer complaints by a named person, and a dedicated email address we build goodwill and trust. Your customer’s voice counts, so make sure you’re tapping into the power and potential of all of them. For more information on K-Seal, click here.